Goodyear Tires and Auto Repair provides superior Santa Cruz Chrysler service and repairs. We are an alternative to visiting a Chrysler dealer. Call us – we can provide Chrysler service and repair exceeding dealer quality. 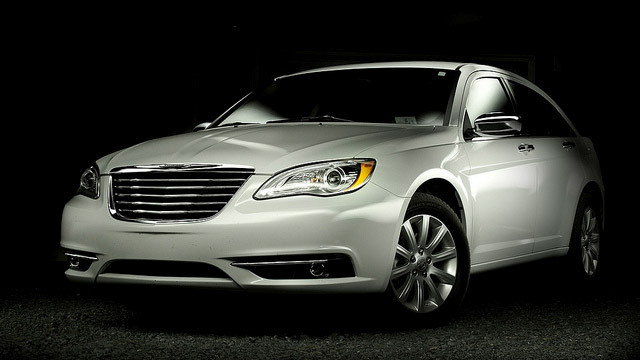 We have extensive experience with Chrysler automobiles. Whether you drive the PT Cruiser, sophisticated Town & Country, or economical Chrysler 200, our mechanics can provide manufacturer recommended services, as well as diagnostics and repairs. We have the latest tools and sophisticated diagnostic equipment that allow us to quickly diagnose and fix problems your car may encounter. Servicing your vehicle with Goodyear Tires and Auto Repair keeps your factory warranty in force. When you bring your vehicle to us for service, we follow factory recommended service schedule for your Chrysler year and model. Regular service not only keeps your car in top shape, but gives us an opportunity to provide a complimentary inspection which can reveal potential problems, so we can fix them before they deteriorate into expensive repairs or breakdowns. Whether you drive a PT Cruiser or a Chrysler 300 - bring your car to us, and our ASE nationally certified mechanics will treat your car as if it were our own. We provide 5,000 mile minor service, as well as the 30,000 mile, 60,000 mile and 90,000 mile services. Whether your Chrysler needs electrical system diagnostics, AC recharge, or a new water pump, we can help. We also provide “check engine” light diagnostics and repairs. Chrysler 200, Chrysler 200c, Chrysler 300, Chrysler 300c, Chrysler 300M, Chrysler Grand Voyager, Chrysler Aspen, Chrysler Cirrus, , Chrysler Crossfire, Chrysler Intrepid, Chrysler LeBaron, Chrysler Pacifica, PT Cruiser, Chrysler Sebring, Chrysler Town & Country, Chrysler Voyager, and Chrysler Concorde. So whether your vehicle needs minor service, or major repairs, call us today, or schedule an appointment online.